Swedish brand Oatly is exceeding sales targets of its new vegan oat drinks following its successful 'It's like milk but made for humans' campaign, Plant Based News can reveal. The £700k cross-media campaign, which launched last month, is running across major transport hubs including London's Kings Cross and Oxford Circus, as well as high impact sites in areas including Shoreditch, Peckham, and Brixton. As a result, Oatly's new line of vegan oat drinks - including Skimmed, Semi, and Whole - are selling is bigger than expected quantities. 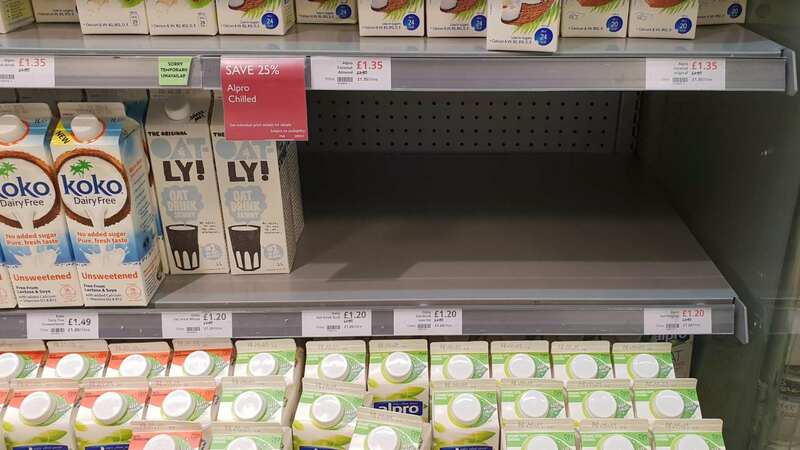 "We're pretty sure that loads of Brits have seen our 'It's like milk but made for humans' campaign these past weeks," Oatly's General Manager told Plant Based News. "We're thrilled of course, but the campaign has created such a rush on our Oatly products, that we've blown way past our expected sales targets."